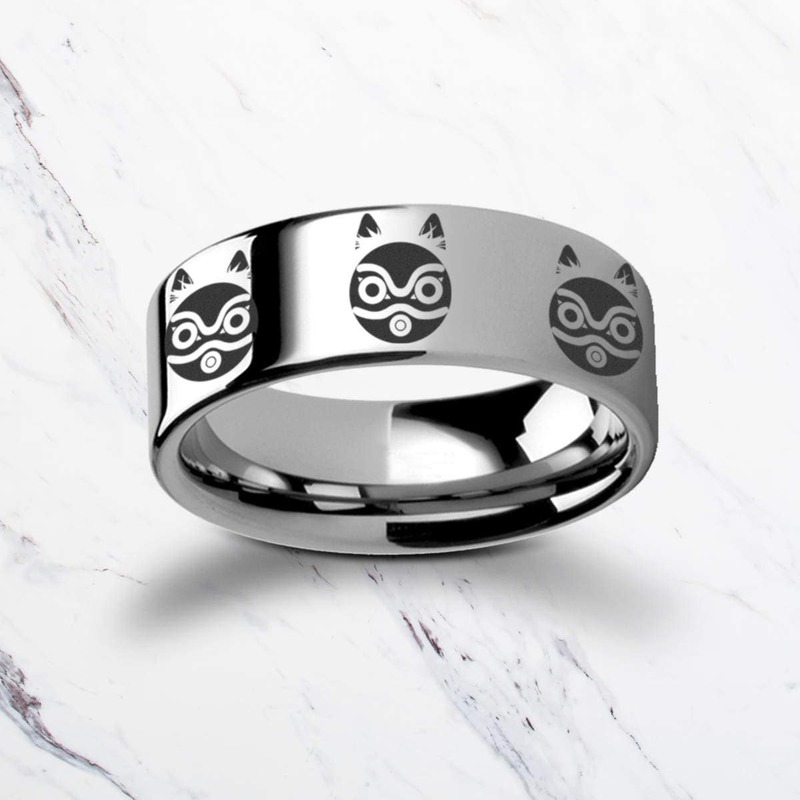 This is a flat polished tungsten carbide ring with the famous Princess Mononoke Mask worn by San engraved around the entire ring. San is also known as "wolf girl" in the anime and in popular culture. This is an awesome engraved ring for lovers of the anime. 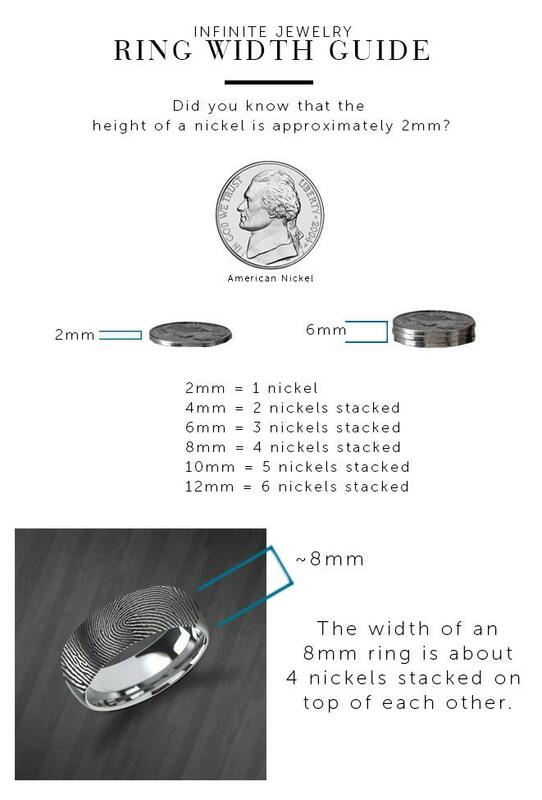 The mask surrounds the entire ring and depending on ring size and width, the number of masks may vary.